At first glance it may seem that digging a trench is not difficult - I took a shovel and dug, but not everything is so simple. If the trench is designed for any communication or for other specific purposes, then you need to do everything correctly and take into account some of the nuances. 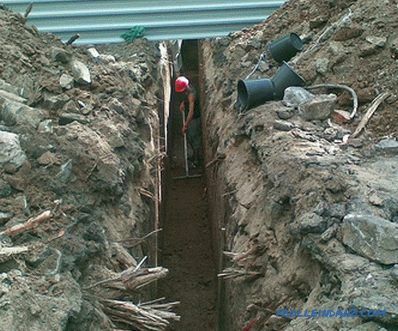 In this article we will describe how to dig a trench for the foundation and plumbing, consider how deep to dig. First you need to decide on the direction and depth of the trench, prepare the necessary tools and materials. The future trench must fit the communications laid in it (pipes, cables, etc. ), and there must be enough materials to complete these excavations. The trench direction itself must be well thought out, because earthworks can adversely affect plant life. For example, part of the root system of fruit trees, the damage of which can cause illness or even death, may end up on the path of the trench. rich in humus and, therefore, moist. 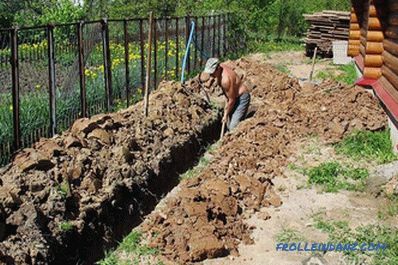 How to dig a trench in these types of soil so that its straight walls do not collapse during work if, for example, it is about one and a half meters deep? Be sure to provide a backup. 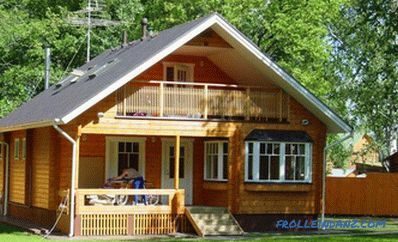 They can be made from small sheets of plywood or any other suitable material that you have in stock. Before digging it is important to immediately identify the place where you will put the soil extracted from the pit. From the edge of the trench, it should be discarded at a distance of at least half a meter, otherwise, when the hill of soil grows up, it will simply fall back. As an option, you can immediately install the formwork, and, digging inside it, pour the soil outside. If an extension to the house is being made, then in no case should you dig a trench undermining the foundation of this building. 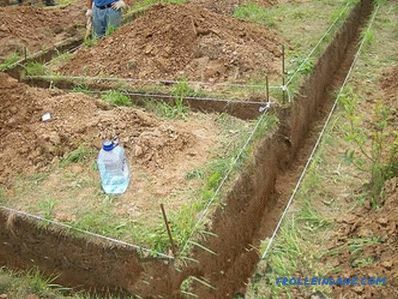 Before you start digging a trench pit under the foundation, it is necessary to carefully mark everything. First, mark the outer perimeter. At the corners it is necessary to drive in wooden stakes or pieces of metal reinforcement, and then stretch the thread (kapron, fishing line or twine) along the whole marking. It is important that the marking angle geometry is strictly at 90º. This can be checked with a tape measure: measure all sides of the rectangular marking (from corner to corner), then measure the diagonal. In a square or rectangular building, it is enough to compare the diagonals - if they are equal, then the angles are really straight. If not, then you have to measure everything again and, as a result, interrupt the pegs. After all these measurements are made, digging trenches for load-bearing walls. Then you can dig transverse trenches for partitions that will be inside the future structure. 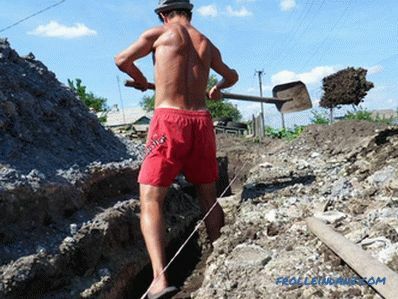 The trench for the foundation must be dug at a distance of at least three meters from the neighbor's section. 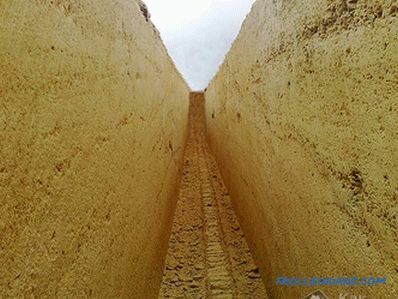 When calculating trench depth do not forget about drainage and sand pillow. The process of manual digging itself is quite laborious, because the layer of earth needs to be dug extremely horizontally so as not to disturb the density of the lower layer. 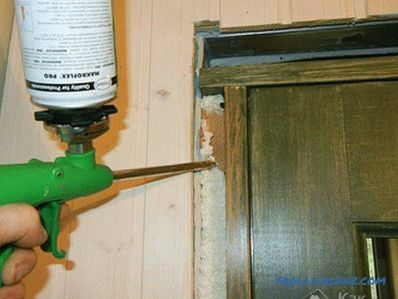 The soil spilled from the walls must be removed. Tamping it makes no sense, since you still will not achieve the initial density of the structure. 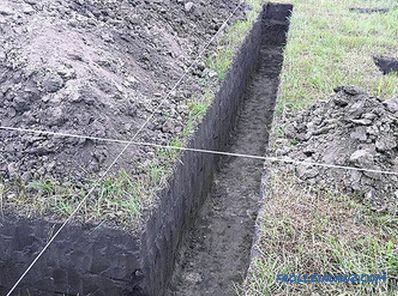 Stony or sandy soil: depth to 1 m.
Sandy soil: depth to 1.3 m.
Loam and clay soil: up to 1.5 m.
Thick soil: up to 2 m.
It should correspond to the width of the concrete base, which, in turn, should be slightly larger than the width of the walls. For example, if it is a sawn shell rock, then the laying will most likely be in stone. 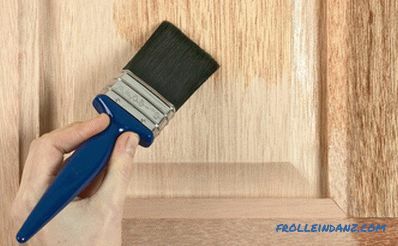 At the same time you need to add another 3-5 cm for various finishing works. Often the trench width is about 70 cm. This is the optimum width at which it is most convenient to remove the soil from the pit. Carrying a plumbing into the house is another important reason to take up a shovel. Be prepared for the fact that you will encounter some inconveniences in the process of work: the trench is likely to be 1.5-2 m deep). In general, the depth of soil freezing and the type of soil have a great influence on the depth of the trench under the water supply system. For example, in regions with a temperate climate (average winter temperature: -10 o C), where mainly loamy soil prevails, the depth of frost penetration does not exceed 1.5 m. If these are sandy soils consisting of coarse sand, then the freezing limit will be deeper: about 1.9 m.
When there is no possibility (or desire) to go deeper by 2 meters into the ground, then there is only one way out - to warm the pipe. In this case, it can be located at a depth of up to half a meter. 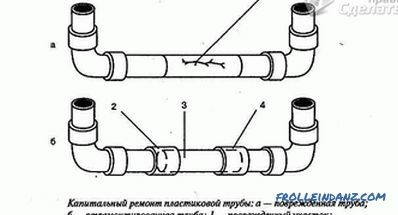 If the water intake is made from a well or a well, then it is necessary to dig a trench for the water supply system with a proper slope, thus, the water will not remain in the pipes, but will go by gravity towards the water source. Such earthworks are always labor-intensive, take enough time, require good planning and preparation. If you or someone else digs a trench manually for any communication, it will be better if you initially do everything correctly. Only then, after doing such work, you will not have the feeling that you have wasted time, effort and money.